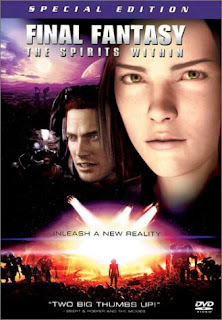 Final Fantasy: The Spirits Within is a computer animated science fiction film by Hironobu Sakaguchi, the creator of the Final Fantasy series of role-playing games. 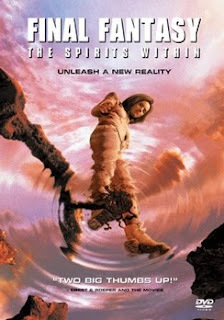 It was released on July 11, 2001, in the United States by Columbia Pictures. 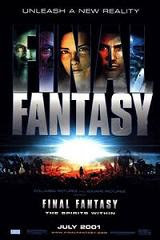 Although bearing the title Final Fantasy, the film shares few aspects with the original Final Fantasy video games, establishing itself as a stand-alone film instead. The story follows scientists Aki Ross and Doctor Sid in their efforts to free Earth from a mysterious and deadly alien race known as the Phantoms, which has driven surviving humanity into "barriercities". They must compete against General Hein, who wishes to attack the aliens with the Zeus space cannon to end the conflict.The film received mixed reviews and was a box office bomb. The film was the first attempt to make a photorealistic rendered 3D feature film. Final Fantasy: The Spirits Within is set on an alien-infested Earth in the year 2065. The remaining humans live in "barrier cities" all over the world and attempt to free their planet from the Phantoms, an alien race. The only hope for the planet comes from the scientist Aki Ross and her mentor, Dr. Cid, who have a plan to destroy the Phantoms without damaging the planet, but a general named Hein is determined to use the Zeus space cannon to destroy the Phantoms—even if it means destroying the Earth in the process. While the film does carry the name Final Fantasy, it is only vaguely thematically related to Square Co.'s popular Final Fantasy series of games. However, Dr. Sid's Gaia Theory, relating to a lifeforce within the planet to which spirits belong, is highly reminiscent of the Lifestream/Mako in Final Fantasy VII. 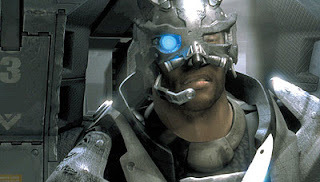 The plot, characters, and storyline were all created specifically for the movie although the character of Dr. Sid does continue the games' tradition of having a character named Cid appear in most Final Fantasy games, despite the Doctor's name being spelled with an untraditional "S". The film has several pacifist themes, as well as a general pro-environment attitude. Since the phantoms are the end result of an alien war in which the combatants literally tore their planet apart, they represent the unsettling self-destructiveness of endless warfare on an entire ecosystem and not just the inhabitants. Similarly, military solutions in the film tend to be futile or only temporarily effective—often exacerbating the problems until a non-violent, spiritual alternative is discovered.